First of all, I would like to thank Mohamad Al Karbi for allowing me to guest post in his blog. It is a great honour. My native is Salem, a beautiful city in southern India. I live in Riyadh, Saudi Arabia with my husband and during our previous vacation to India, we visited Goa. It was a four-day trip and it was a fabulous experience. 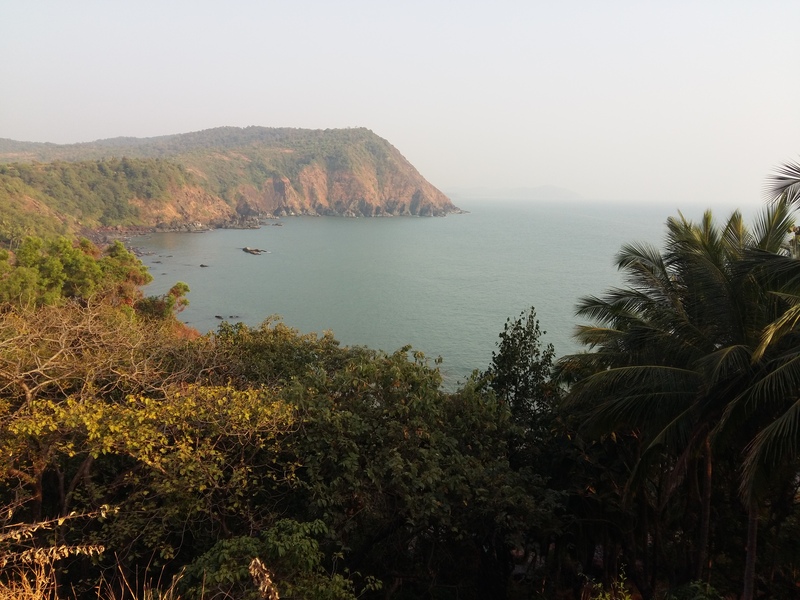 Goa is a state in western India with its coast lines stretching along the Arabian Sea. It had been a Portuguese colony and it is well known for its beaches, churches and architecture. Here are few of the places that we visited during our trip. Our stay was at a beach resort in the area so it was very convenient to visit the beach every evening. We loved to sit and relax in the sand watching the sunset and it was a beautiful experience. 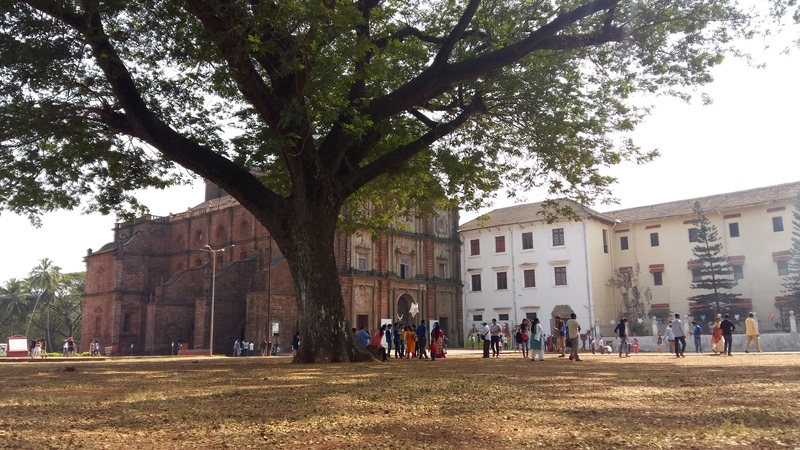 This is one of the oldest churches in Goa and in India as well. The basilica holds the mortal remains of St. Francis Xavier and it is a UNESCO world heritage site. Here is the view that we clicked from a park bench outside the church. This fort was so big and old with stunning views of the Arabian Sea. It was said to be the chief defence of the Portuguese. Personally, it was so amazing to stand and imagine how it would have functioned back in the days. Here is the view of the sea from the top. 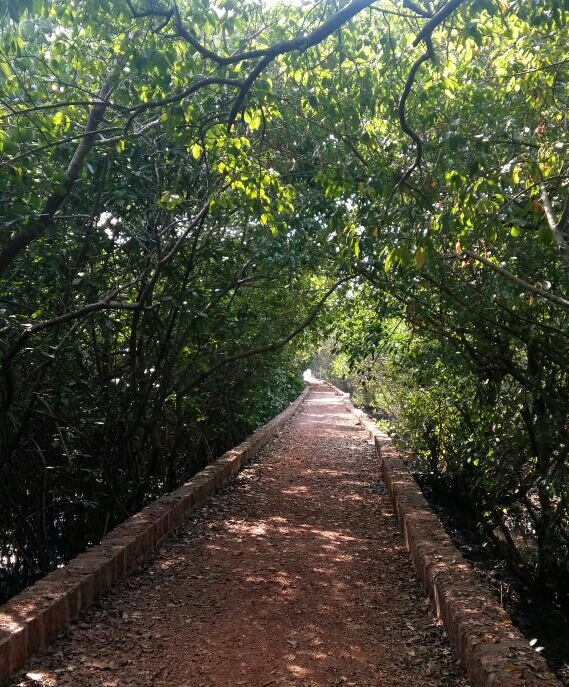 This is a mangrove habitat declared as a bird sanctuary. We were taken by a boat and it was a few minutes travel over water. The path was narrow, with huge dense trees on either side in a swamp. Unfortunately we could not spot a single bird. My husband was making fun of me, saying “There’s a snake! There’s a snake!” Though I was acting like I was not scared, personally it was creepy as hell and couldn’t help but click this. There are also so many other attractions, boating, clubbing, markets for shopping and temples. Goa is known as the Pearl of the Orient and Tourist’s Paradise. We could see why and we would love to go anytime again. This entry was posted in Around the World and tagged goa, India, Travel on July 30, 2017 by Yuvi's Buzz. I'm a simple girl who is in love with writing. Music is my lifeline, I cannot survive without songs. I love to read novels and stories especially in the fantasy genre. And a big fan of Marvel and DC movies. 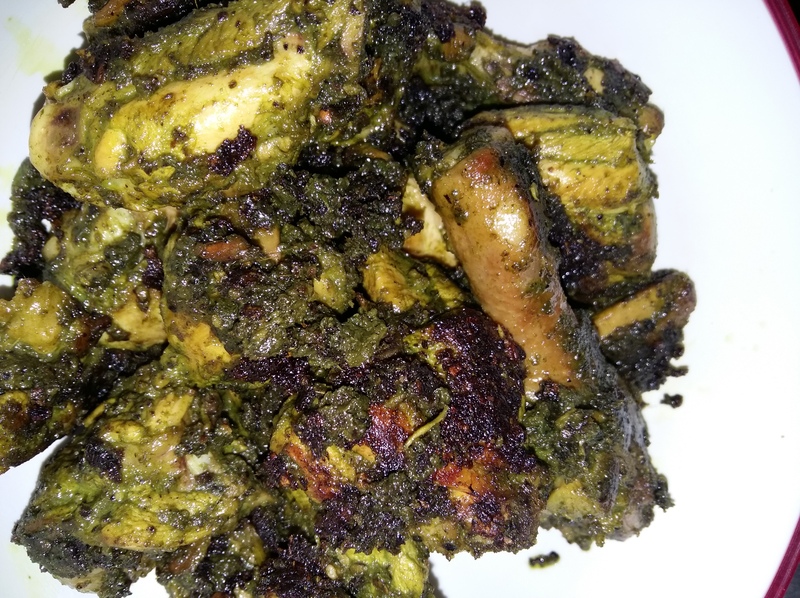 We are glad you loved Goan food. We did too! Very good article! Well described! Keep sharing this type of more useful Information. To visit more beautiful tourist destinations in alibaugh or any other destination in India Book taxi service or cab service now at ganraj Travels at very reasonable cost. We provide world class taxi service and offer special offers on every booking. Hurry up! Very useful. The only people with whom you should try to get even are those who have helped you (John E. Southard) – thanks for the share!